Here in the Pacific NW it is harvest season. A couple of weeks ago I held an apple party to help me cope with the overwhelming harvest from our three small trees. This last weekend I was in Surrey B.C. for a Spirituality of Gardening seminar with A Rocha Canada. 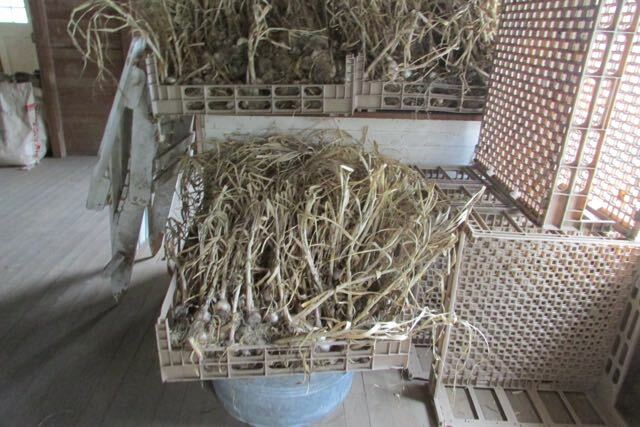 There too, as I mentioned in an earlier post, harvest was in full swing and the barn where we met was full of onions, garlic and dried beans. 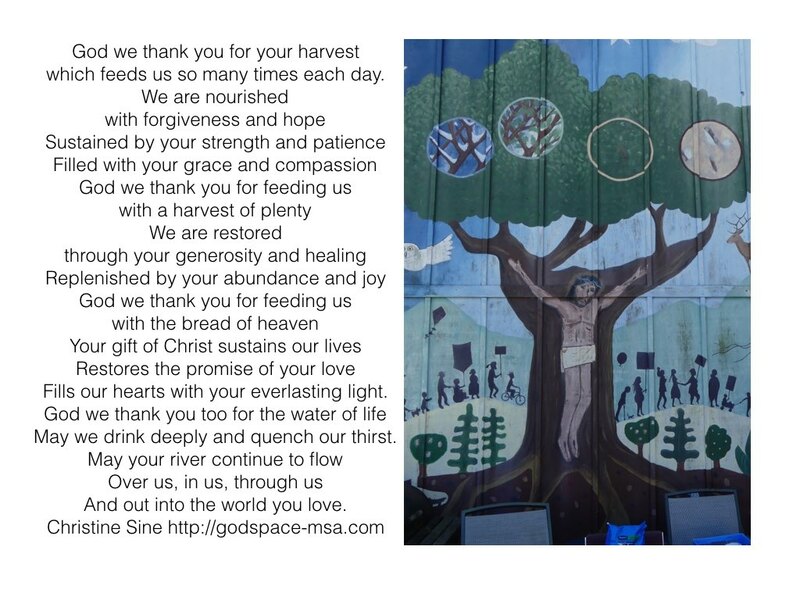 The harvest season always inspires creativity, challenging me to find new ways to cope with the abundance, new recipes to experiment with and new prayers and liturgies to both write and use. I thought that this was a good time to share some of these with you again. This is my favourite set of resources from Christian Concern for One World. 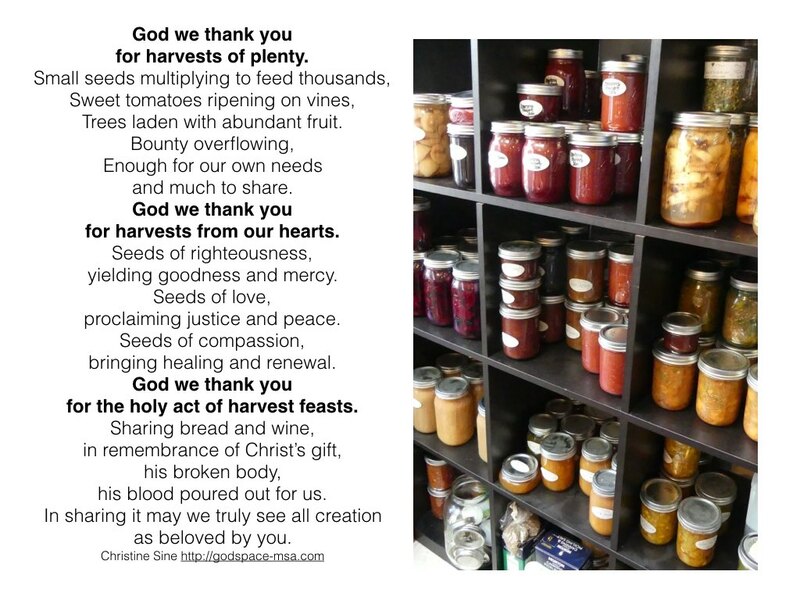 My friend John Birch at Faith and Worship also has an excellent resource list as well as this great Harvest Thanksgiving liturgy. Another beautiful prayer for the season. My favourite liturgy written by Andrew Warmback and Brian Wilinson, Network of Earthkeeping Christian Communities in South Africa. And if you are looking for Thanksgiving prayers check out this list. Majestic—as a stallion stalwart, very-violet-sweet! 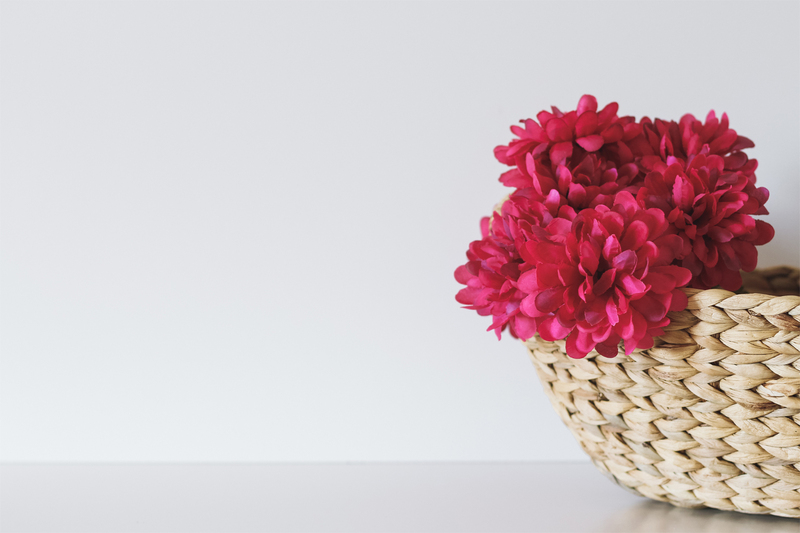 Important Tips For Coping With Abundance.